MIBM courses offered the flexibility and the knowledge which is adequate for a professional growth. The MIBM education standards have been well appreciated and supported globally by leading Corporate houses and Multinational companies. MIBM offers comprehensive autonomous correspondence/ Regular/ Part time Programme to train a new generation Corporate Executives/ Managers and emerging Entrepreneurs to handle global challenges with the right global knowledge. It is our constant Endeavor is to ensure aspiring students have a promising career. 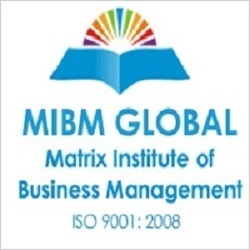 The courses offered by MIBM are globally recognized and valued for the quality it imparts.